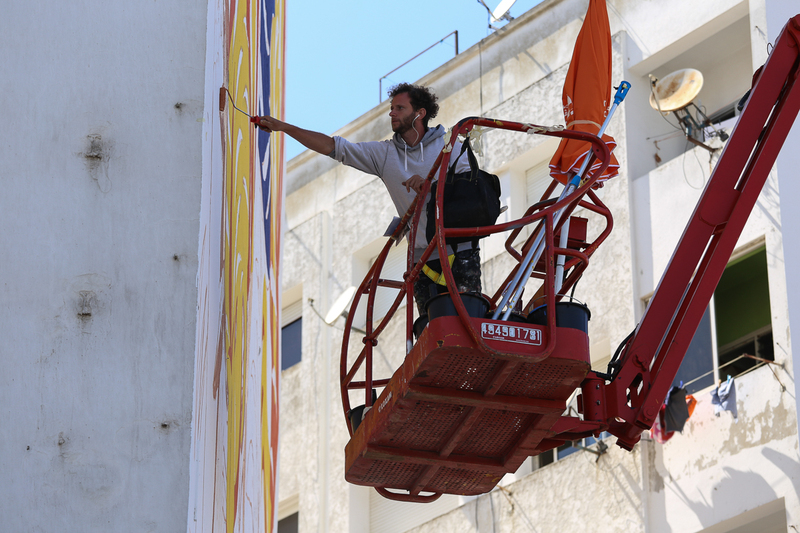 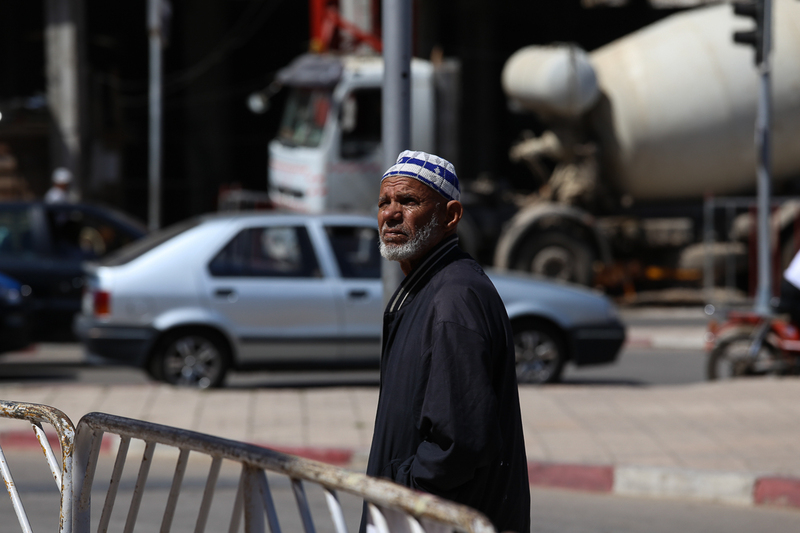 RABAT, MOROCCO – A few months after inaugurating Morocco’s Mohammed VI Museum of Modern and Contemporary Art in the capital, the National Museum Foundation helped to organise Rabat’s first street art festival, Jidar. 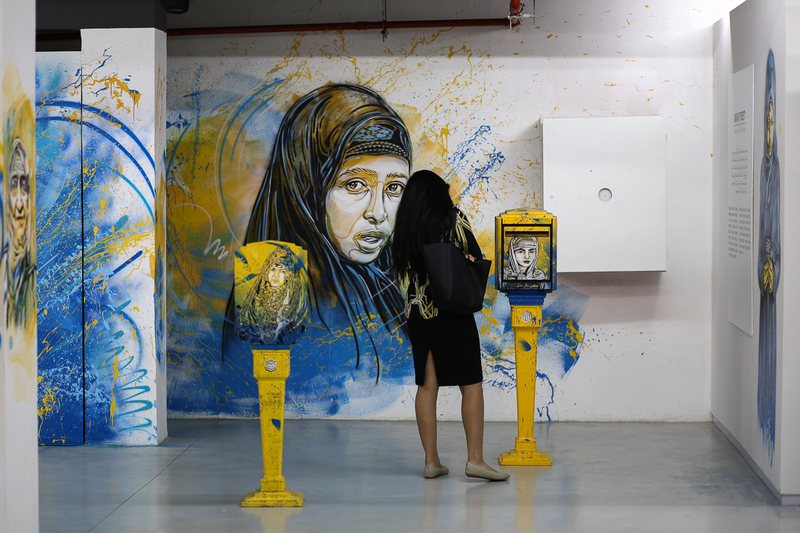 The festival, which wrapped up last week, reflects a growing interest in contemporary art within the kingdom. 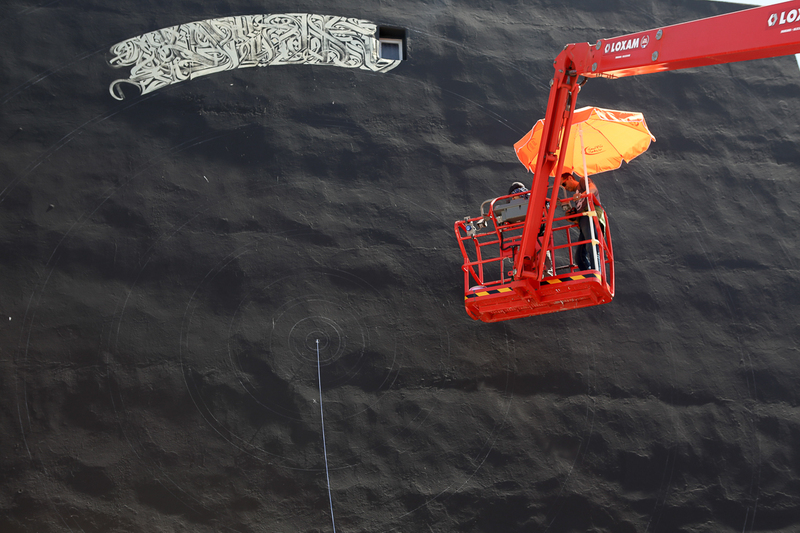 On cranes, from the pavement, or while chatting with curious onlookers, 12 international artists painted buildings in the capital in a range of styles, including abstract expressionism and surrealism. 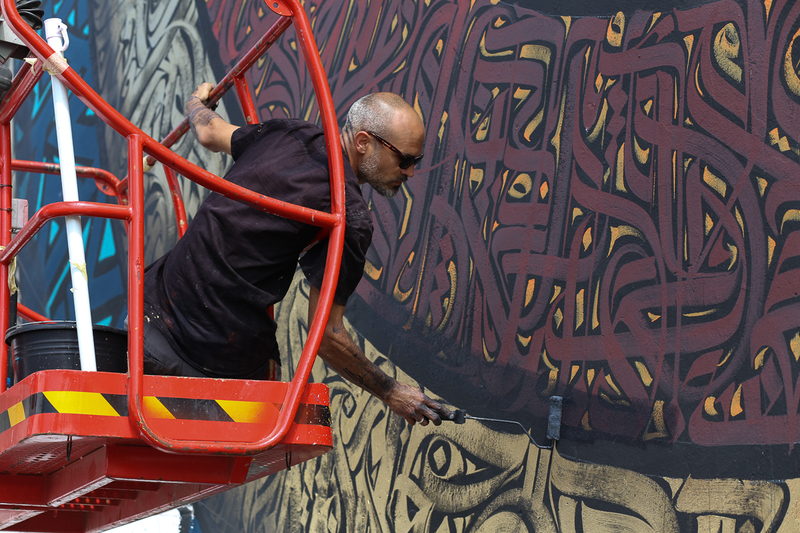 French artist Zepha (Vincent Abadie Hafez) filled a mural of concentric circles with Arabic calligraphy, French words, and the Berber script of Tifanagh, representing Morocco’s three main languages. 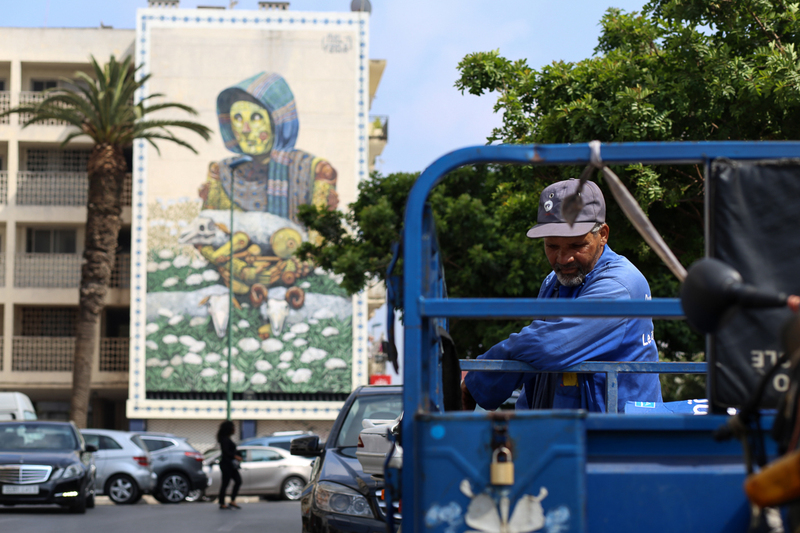 On the other side of town, Kalamour (Abdellatif Farhate) painted a man clad in a djellaba, a traditional Berber gown, cradling the Earth. 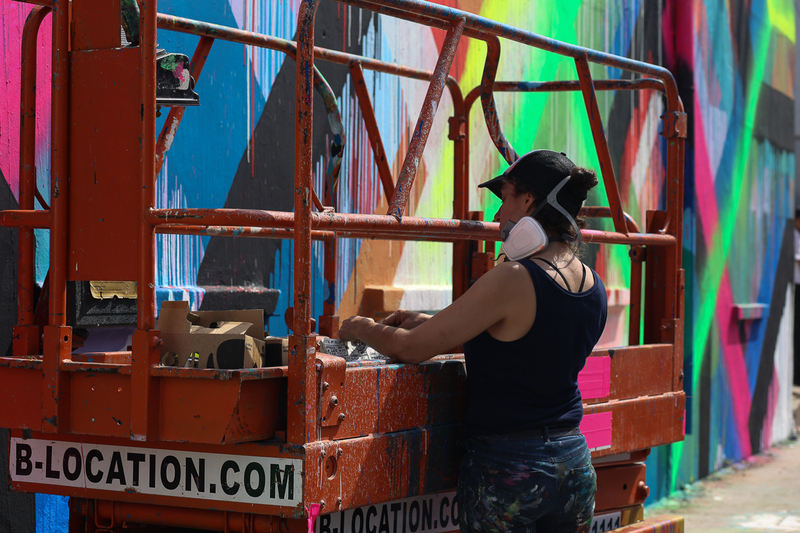 American artist Maya Hayuk, a veteran of the street art scene, said many people stopped to look at the paintings and ask questions. 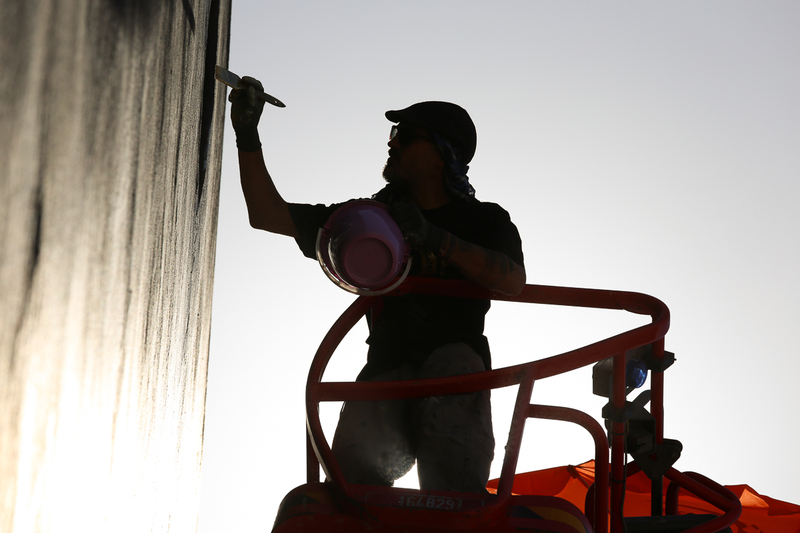 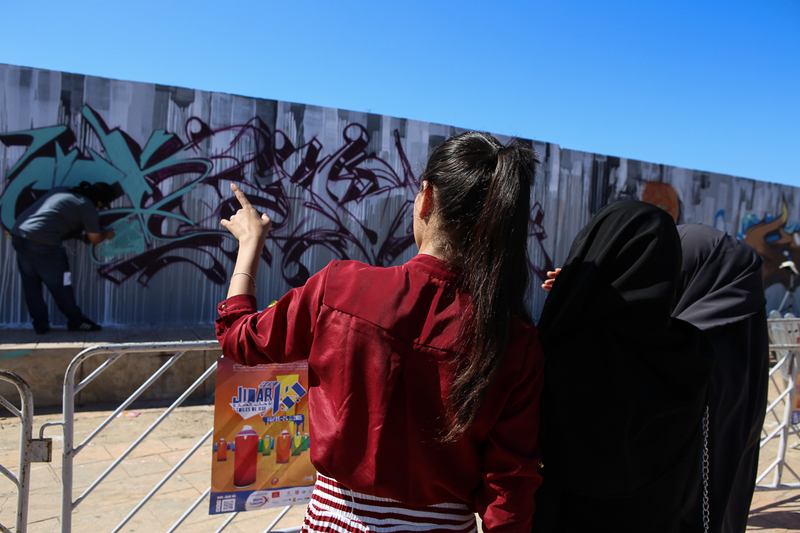 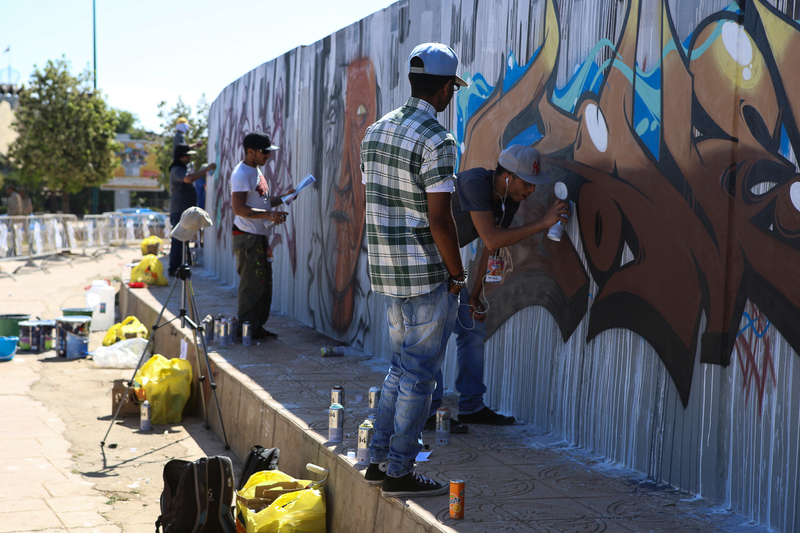 Taking inspiration from public space is key to the festival, said Jidar’s artistic director Salah Malouli, who hopes young people will be encouraged to initiate their own street art projects. 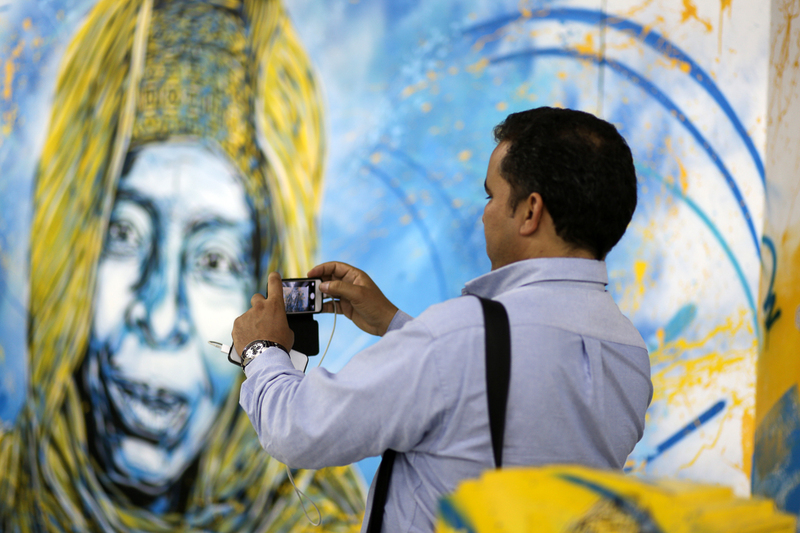 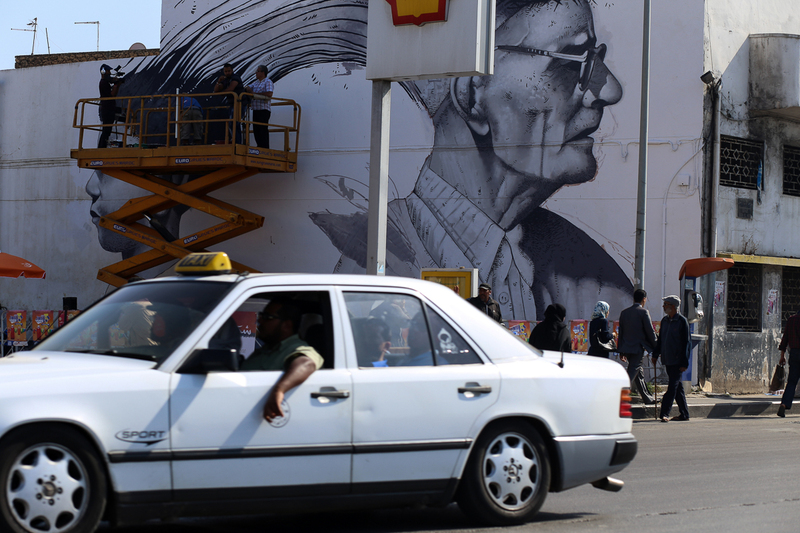 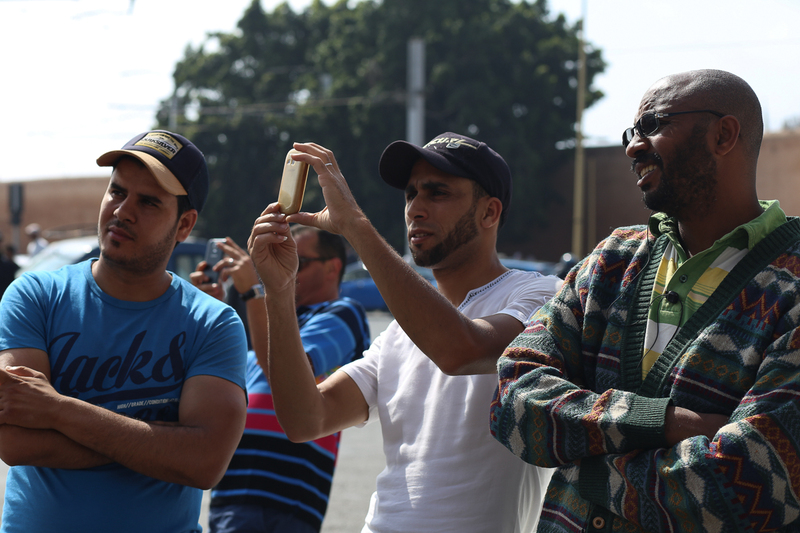 The festival ended on May 24, but the Mohammed VI museum will host an exhibit of street art until the end of the year. 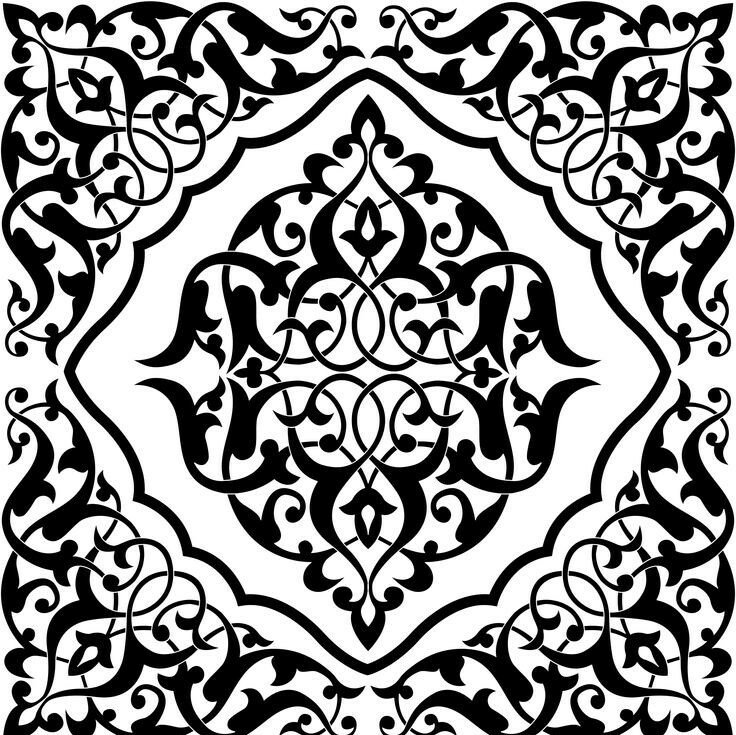 This entry was posted on May 25, 2015 by nahrain in .